Computerdatei | 2013 | Konsolenspiel | Abenteuer/ActionAvailability: Items available for loan: SB Hennef [Call number: 0079 DS] (1). Computerdatei | 2013 | Konsolenspiel | Abenteuer/ActionAvailability: Items available for loan: SB Hennef [Call number: 0075 3DS] (1). 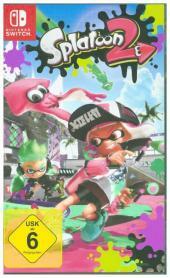 Computerdatei | 2015 | Konsolenspiel | ActionAvailability: Items available for loan: SB Hennef [Call number: 0060 WII U] (1). Computerdatei | 2017 | Konsolenspiel | ActionAvailability: Items available for loan: SB Hennef [Call number: 0051 SWITCH] (1).